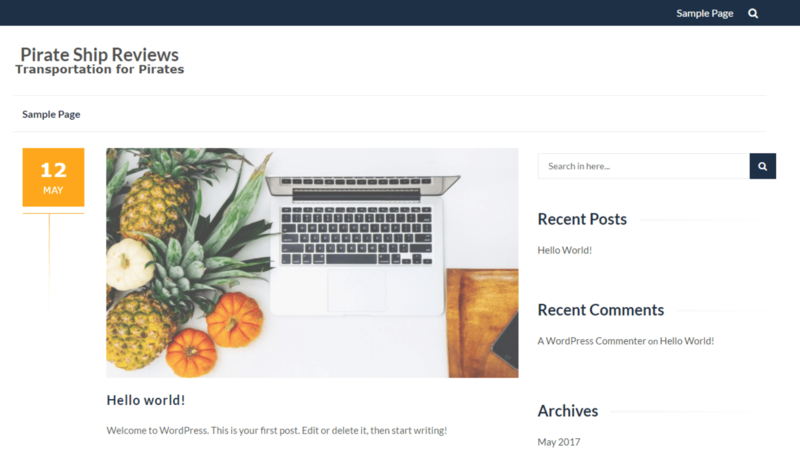 ThemeIsle, a WordPress theme shop that started in 2012, offers a number of highly rated themes and plugins. Their themes aren’t available individually, instead, club membership gives you access to all of their themes. I’ll start with a short overview followed by an in-depth review. I’ll also use some of their offerings to build a test review site. Almost all of their offerings are available in a “Lite” version that is free, and in a “Pro” version that is available by subscription. You can download the Lite versions from WordPress.org or their website. The Pro versions have more features and are available to their subscribers. ThemeIsle is not focused on creating one comprehensive theme but instead offers a variety of themes that target a specific purpose. 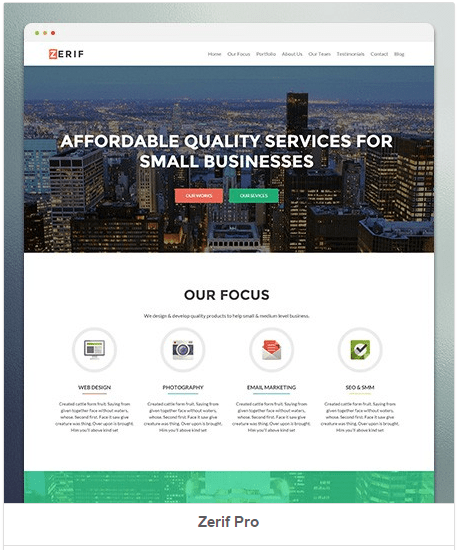 Want a one-page brochure theme, a restaurant theme, a law office theme, a music theme, themes for online shops, for reviews, for your business or your blog? All that and more, they have you covered. There are more than 20 themes in their portfolio that are actively updated and maintained. The themes highlight your message – the typography is bold and the themes attractive. 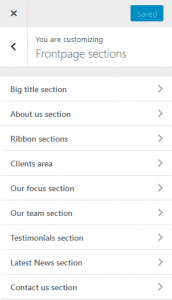 The one-page themes have sections for the home page that you can populate in the Customizer. Otherwise, they take the approach that you should add specific features using plugins. Using plugins makes your content more portable. For example, say you were writing reviews with product ratings. If the review features were built into the theme and you decide to change themes in the future, then you would have to reenter all of your ratings. If you use a plugin then those ratings are available no matter what theme you use. 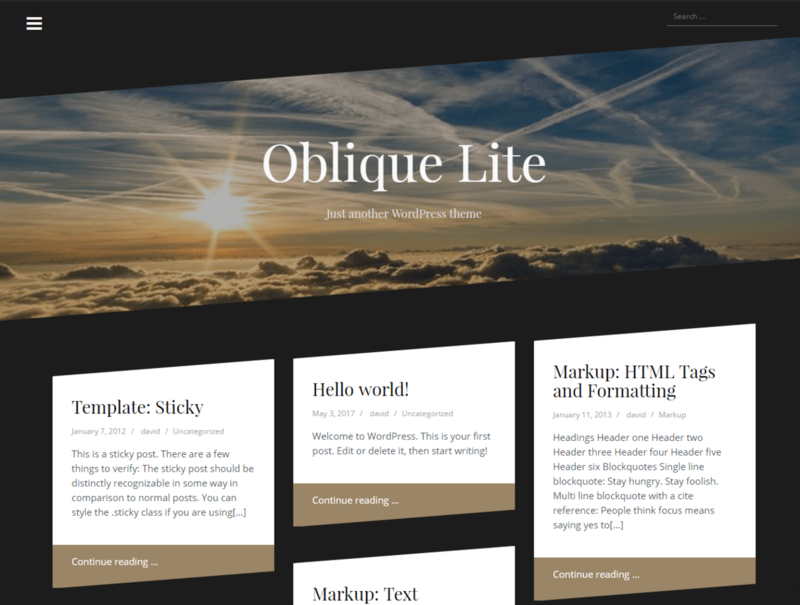 In addition to themes, ThemeIsle has several plugins that are available in both Lite and Pro versions. Did I mention reviews? 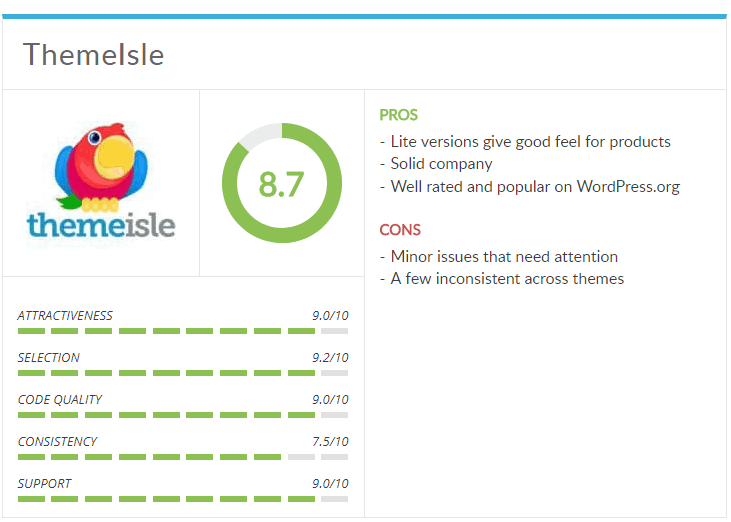 The Lite version of their plugin WP Product Reviews has more than 60,000 active installs. Their Revive Old Posts plugin makes sharing your posts on social media easier and has more than 80,000 active installs. They show 10 plugins on their website. 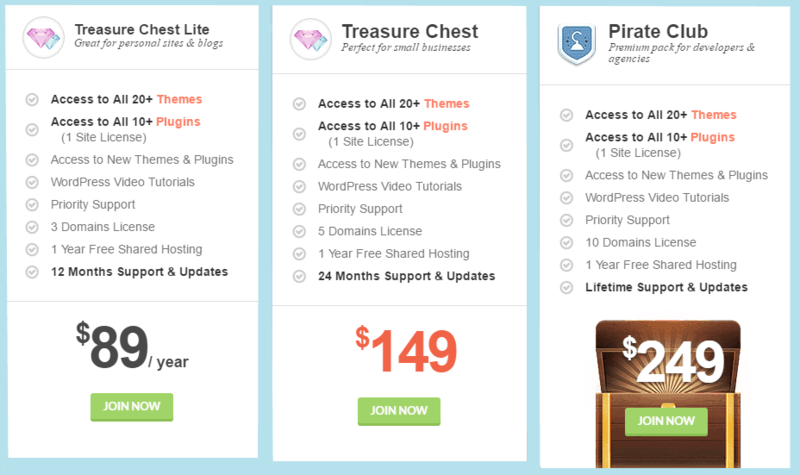 ThemeIsle offers subscriptions in a one-year option that lets you use all of their themes on up to three domains, a two-year option that allows up to 5 domains, and lifetime option, the “Pirate Club”. Their lifetime plan offers access, updates and support for all of their themes for up to 10 websites. Membership lets you use the plugins on one website. I suggest that you look over their offerings. Their themes and plugins are tailored for particular market niches, so if you find something that matches your project you can try out the Lite version. ThemeIsle is a solid company. If you are happy with the Lite version and want more features then there is no reason not to buy. Since I first published this article, the package contents, terms and pricing have changed three times. I am no longer updating them. Please check the pricing at the ThemeIsle website. I’ve been interested in ThemeIsle for a couple of years. They have a number of competitively priced, highly rated, attractive themes along with some useful plugins. The owner, Ionut Neagu, has periodically published transparency reports about how his business is doing. These reports offer a rare peek into running a successful WordPress business and are a fascinating read. I’ve gained a lot of respect for the company from reading them. I have a good impression of ThemeIsle as a company and thought that a purchase from them would be a safe bet. I signed up for their newsletter and kept my eyes open for a sale. The newsletter typically listed their most recent articles and tutorials. I’d been getting it for a few months when I received a surprise email from them offering me a “Pirate Club” membership if I wrote a review. There was no requirement for a positive review, they just asked that I share — the good and the bad. This review was prompted by their offer, but as you will see below, it is a thorough and balanced review. ThemeIsle has an extensive collection of themes. I counted 24 themes and 6 child themes. They have one-page, blog, business, ecommerce, magazine, portfolio, and multimedia themes. There were three types of theme absent: “application themes”, a “general-purpose” theme and an “all-purpose” theme. Application themes provide specific functionality, like a job-board or real estate listings. General purpose themes are light-weight themes that have a lot of customization options while all-purpose themes are heavier themes that include things like a page builder. Offering targeted use themes is a business decision the company made early on that they believe works well for them and their customers. All but 3 of their themes have a “Lite” version, which means that you can download and try the themes before purchasing. I downloaded all the “Lite” themes and the 6 child themes. I created a test site and installed the WordPress Theme Unit Test Data. I installed, activated and inspected each one. Theme surfing is a thing. I spent an afternoon “theme surfing”, yes that’s a thing. I’m running the latest version of WordPress using PHP 7.1.1, with “debug” enabled. I didn’t get any errors but got one PHP warning on the Plumbelt theme. I think this was a good showing, as PHP 7.1 has some backward breaking changes and I’ve seen a fair number of themes and plugins that have not been updated. More on that warning message below, in the discussion of support. ThemeIsle themes are not” multi-purpose” themes but instead focus on a particular use. The advantage of targeted use themes is that they can focus on what a particular market segment needs and on looking the part. Let’s face it, a restaurant doesn’t want to look like a construction company. The downside of the targeted use themes is that they tend to have fewer options. I suppose that isn’t surprising because in picking a theme for a particular purpose, you’ve already made a lot of choices. When you activate a ThemeIsle theme you’re likely to see to an alert suggesting you install recommended plugins. These plugins are free ones that were chosen to work with the theme. You don’t have to worry about extra costs and you don’t have to go hunt for these plugins either. Click on the link and you go to a page where you can download and activate them. Using plugins for more functionality reflects one of their design goals, which is to make high-performance themes without extra bloat. ThemeIsle themes have fewer options than some other themes because they expect you to use plugins for extra functionality. Inspecting 20+ themes, one after another, I noticed that for the one page, magazine, and business themes, the customization options focused on the home page. The home page is traditionally the page that is most unique, so that makes sense. On the other hand, I looked at the Amadeus blog theme and noticed that there were a generous number of more general customization options. 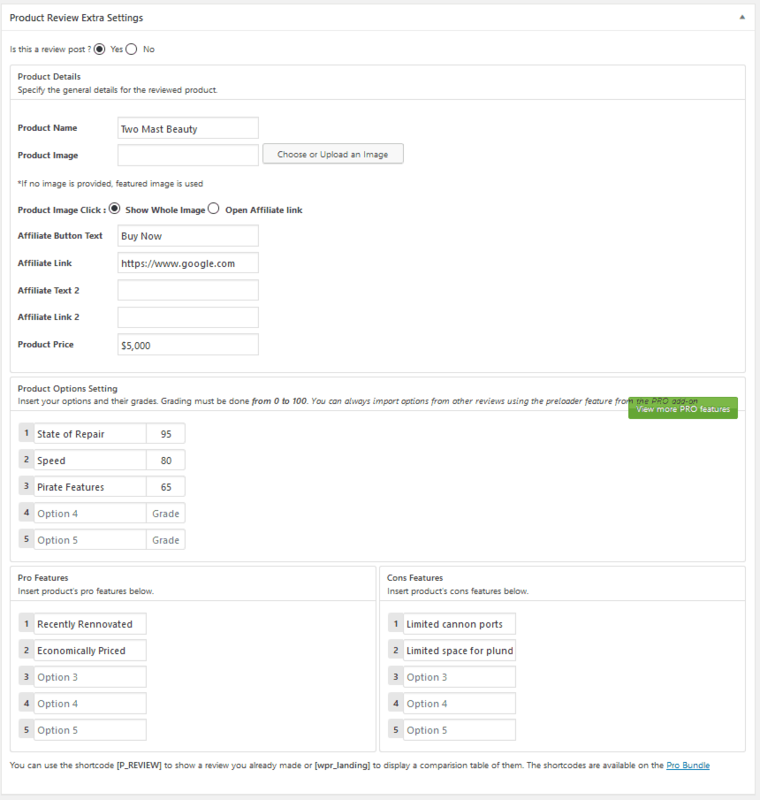 The customization options vary by theme and its target usage. Some might have a lot of color and typography options, for instance, while others only have more home page layout options. The Pro versions have more features and you see placeholders for them in the Customizer when using the Lite versions. The Hestia and Oblique themes were noticeably more elegant. In fact, Oblique was the 16th theme I looked at and I blurted aloud, “Wow!” It was that striking. When I saw the Oblique theme I blurted aloud, “Wow!” It was that striking. While the Oblique theme has a very distinctive style that would limit its usage, Hestia was both elegant and more general purpose. Zerif is a refined theme that has been their flagship and gets lots of attention. It seemed like there were minor updates every few days for Hestia and Zerif and that they were updated much more frequently than the other themes. In a recent transparency report, it was announced that the company was going to start focusing on the Hestia theme and on making it work well with page builders. If you are starting a new site then Hestia would be a good theme to choose because it sounds like it is going to get lots of updates and enhancements. Most of the themes were attractive, but I will mention the Metro CreativeX theme as another one that was a standout. By default, it has a black background with lots of accent color options. On the other end of the spectrum, I thought the design of the Book Rev Lite and Caresland Lite themes seemed outdated. I checked each of the themes to see how they would display on smaller screens by sizing my browser window down to phone dimensions. All of them resized the content, switched to a mobile menu, and looked attractive for smaller screens. I’ve seen some large theme shops that still offered themes that were not responsive, so ThemeIsle did a good job here. While testing responsiveness, I noticed that for the Premium Code Lite theme the breakpoint to switch to a mobile menu was smaller than the other themes, so the regular menu showed longer than perhaps it should have. Additionally, the RokoPhoto Lite theme did not have any padding next to a right aligned image so that the text was snug against it. These are small things that might need to be tweaked. The organization of the Customizer options was not standard across themes and there were a few small oddities. For example, on activation of the conservatively styled “Lawyeria” Lite theme, that seemed to target law firms, there was a prompt for installing WP Product Reviews Lite, which seemed out of place. 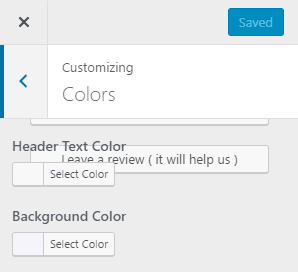 Also, in the Customizer for that theme, there was a styling issue as the buttons on the first section of the Customizer were not hidden and bled through when viewing sub-sections. I had a few support contacts while writing this review. First, I used the chat function on their website and asked: “Do your themes work well with Beaver Builder?” I was given the option to supply my email address if I didn’t want to wait, but instead, I checked their page occasionally for a reply. It took about an hour for an answer that “all the themes should work fine with page builders, such as the Site Origin Page Builder.” I was used to presales chat options only being shown when staffed but was happy to get a timely response. I mentioned the second support contact above when I noticed that the Plumbelt theme had a PHP warning message. In that case, I posted on the WordPress.org forums and was pleased that there was a prompt reply. They thanked me for reporting the issue and said it would be fixed in the next update. It was good to see that they keep a close eye on WordPress.org and support the free versions of their themes and plugins. On the ThemeIsle website, support is offered for Pro versions through their contact form. Looking around online, I saw favorable comments about ThemeIsle support, which reinforced my positive impression. 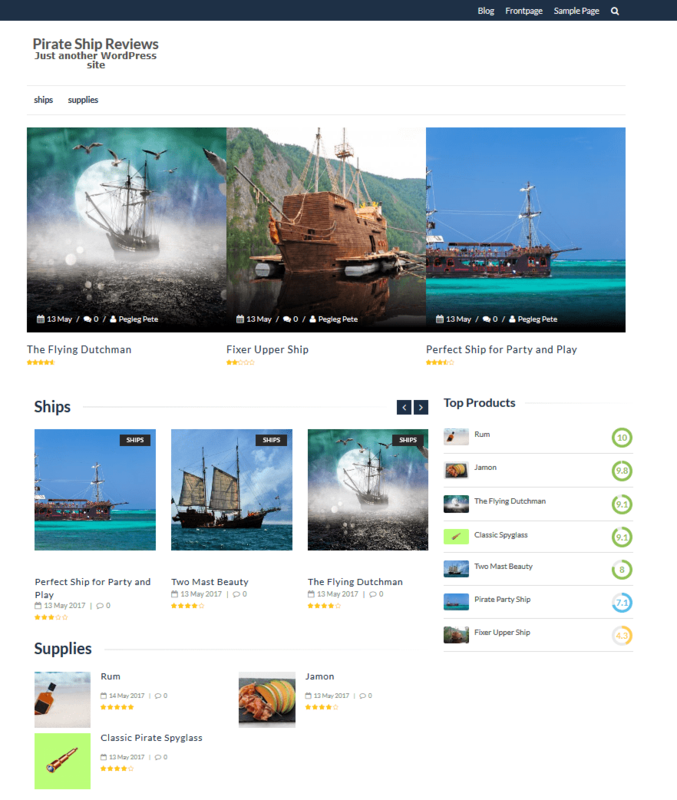 To check how ThemeIsle’s theme and plugin portfolio work together I created a mock affiliate review website called “Pirate Ship Reviews.” My local WordPress install script sets the default theme to Twenty Twelve. Here is the first view of the blog page after the install. ReviewZine is a magazine style theme that, as its name implies, works nicely for reviews. 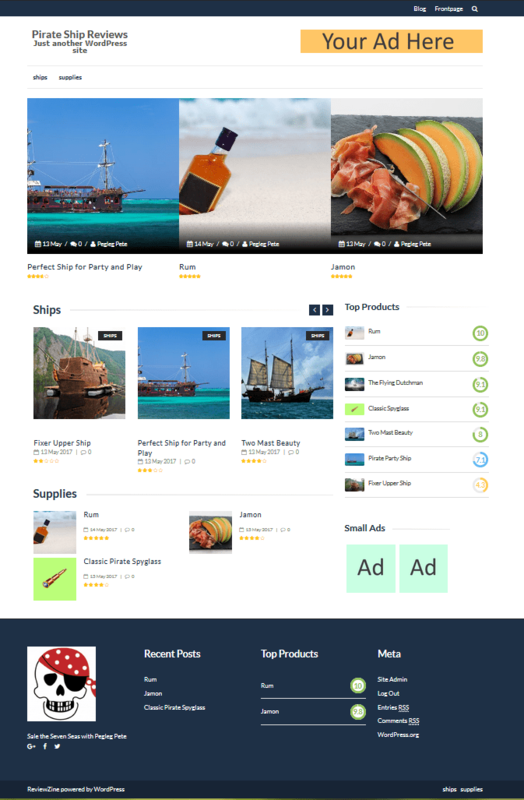 It is a child theme of the popular IsleMag theme. Both Reviewzine and its parent were released last year. Reviewzine has three menu areas: top bar, below the site title, and at the bottom of the footer. The menu below the site title is a “sticky” menu that sticks as you scroll down the page. When I activated Reviewzine there was one small disconnect: an alert notice directing me to the IsleMag theme’s documentation. The help link in the theme Customizer also went to the help information for IsleMag. As a child theme, perhaps it is not surprising that there was no specific documentation, but I did a double-take to make sure I activated the correct theme. Some of the parent theme help is applicable, so I was glad to have access to the documentation and the setup video, as is discussed further on. After activation, the blog page looked like the screenshot below, so things were already looking better. The theme included 10 stock images so that it’s demo would look nice. Site after activating the ReviewZine theme. When I activated Reviewzine there was a prompt to install the WP Product Reviews Lite plugin. I followed the links to install and activate it. This gave me a settings area for the plugin options. As you can see, there are options for rating placement, enabling visitor ratings, and customizing style elements. There are several color options under “Rating Colors”, “Typography”, and “Buy button.” For this test, I left everything at default. Magazine themes typically feature posts in several categories. 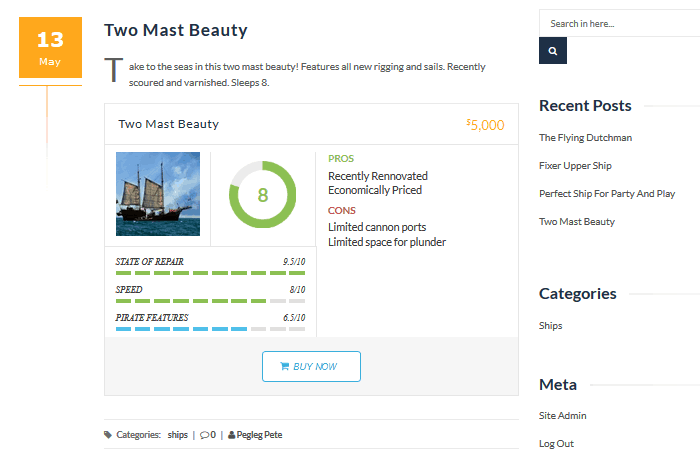 For this example, I decided that I would create reviews in two categories: “ships” and “supplies.” I went to create my first post and saw that there was a review section under the editor area. Clicking on the “Yes” toggle to indicate that this was a review, showed the input areas for the reviews. I created a few reviews in the “ships” category and some in the “supplies” category so that I could see the magazine-style display options. This screenshot shows the values I entered for my first review so that you can compare that to the output in the next screenshot. Here is what my first review looked like. I thought the product display, the rating dimensions, and the pros and cons section looked good. I was ready to move on to the home page to setup the magazine display, and this is where the help was useful. The documentation says to create two pages, one titled “Frontpage” and one titled “Blog.” Then in the Customizer, you set the Front Page and Posts pages accordingly. All of the setup is done in the Customizer. There you can enable a slider that shows under the header and there are options for “Front Page Sections.” There are 5 front page sections areas you can populate by selecting a category to display in each one. Each area has a slider with a slightly different type of display, so each category is displayed uniquely. It would take a fair amount of work to create those on your own. Since this is just a demo, I set the first two section categories and disabled the others. The first one I labeled “Ships” and the second “Supplies” and assigned those categories. This is how things look so far. The large slider at the top is the one associated with the header and the “Ships” and “Supplies” sections are the first two sections below that. The theme and plugin added a few unique widgets and the theme has some custom widget locations. I put the “Top Products” widget in the sidebar (shown above). There were some custom widgets that provide built-in support for Google Adsense or other advertising banners. A nice touch with the widget designs is that there is text telling you the recommended image sizes. That saves a lot of hunting around or trial and error to figure out what fits. There are three widget areas in the footer and a footer section in the Customizer where you can add a logo and social media icons. I populated these areas so you could see them. I accomplished everything shown through the admin interface and did not need to add any custom code. I was quite pleased with WP Product Reviews Lite. I found it very straightforward to use and it created a consistent and attractive output. I recommend it, especially if your ratings will have several dimensions of evaluation so that you can take advantage of the aggregate scores feature. It was interesting working with a theme that really targets a certain type of use. I appreciated that there were a lot of options for customizing the home page for creating that magazine look and that there was a strong focus on organization and display by category. There was a lot of attention to detail and small touches that gave Reviewzine its’ polish. 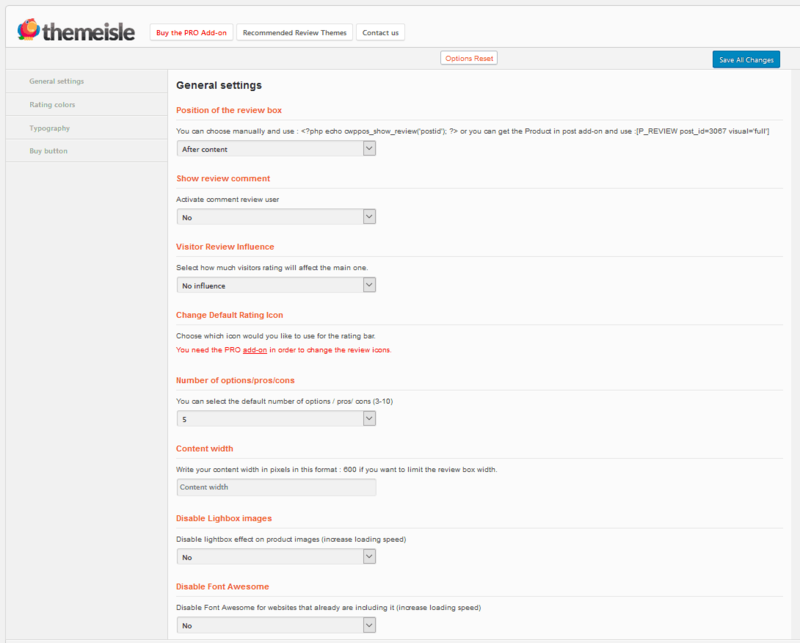 ThemeIsle themes and plugins are well coded. Their themes are not multi-purpose themes, they are focused on particular uses. If you find a design that fits your needs, you can save time by using one of their themes. Their themes are also a good match for people who are new to WordPress or who don’t want to dig into layers of customization, but who prefer to put their energy into their content and business. One feature of their many themes and plugins is that they come in a Lite version, so you can “try before you buy,” or maybe the Lite version will have all of the features you need. I have a good feel for ThemeIsle and their products after going through the “deep dive” process. I uncovered a few issues, but for the most part, everything worked as it should. While “attractive” is subjective, I felt that some of the themes stood out from the pack. As I mentioned above, the company is going to give the Hestia theme a lot of focus. Hestia is one of the themes I thought was noticeably more elegant, so this theme would be a good starting point for your own testing.